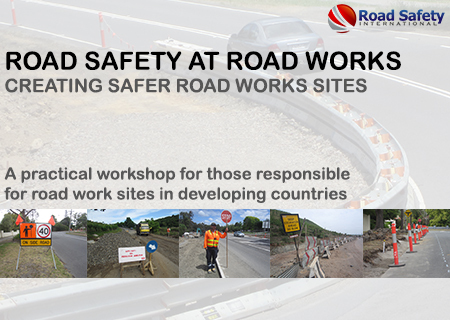 One of our real passions is the presentation of high quality technical training workshops on road safety engineering topics. A regular workshop series has commenced this year in Bali (Indonesia) - our aim is to bring together keen, interested engineers, Police and other officials from anywhere in the world to learn about the low cost and highly effective things they can do in their home countries to make their roads safer. Bali is a beautiful island with some challenging road safety and traffic problems. With a wide mix of road users, Bali offers road and traffic conditions similar to may other developing nations - from Africa to the Middle East, from the Pacific to Central Asia, and all countries in between.